I am missing a bunch of G1 Polly Pocket figures from my childhood sets. 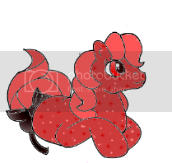 If you have any, I am willing to buy or trade (I have MLP items and would also trade my rehairing services [www.mlprehairing.com]). Please PM me (not reply here) if you can help me find any of these figures! I also wouldn't mind adding to my collection a bit, so if you have other figures (or compacts) not shown I may be interested in them depending on the price. I recently found a Polly lite-up desk, do you have that particular item or do you know anything about it? I know I have the monkey, but my polly pockets are in a box in storage at the moment. I should have them back in a week or two. I'm fairly certain I have most of these. I'd just have to get into storage to get them. Also I have the Cinderella castle (but not figures) if you are interested. It may be a bear to ship though. Missing top turret thingy, otherwise looks pretty nice.